Today, the SVP-Chief Investment Officer of UDR (NYSE: UDR), Harry Alcock, sold shares of UDR for $404.5K. Following Harry Alcock’s last UDR Sell transaction on June 05, 2017, the stock climbed by 2.2%. In addition to Harry Alcock, one other UDR executive reported Sell trades in the last month. Based on UDR’s latest earnings report for the quarter ending June 30, the company posted quarterly revenue of $260 million and quarterly net profit of $20.6 million. In comparison, last year the company earned revenue of $248 million and had a net profit of $10.16 million. 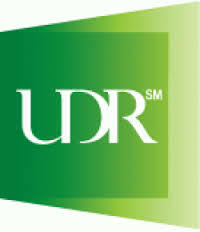 UDR’s market cap is $10.83B and the company has a P/E ratio of 150.20. Currently, UDR has an average volume of 1.13M. Based on 5 analyst ratings, the analyst consensus is Moderate Buy with an average price target of $40.80, reflecting a 0.5% upside. The insider sentiment on UDR has been negative according to 36 insider trades in the past three months. This sentiment is lower than the average sentiment of company insiders in this sector. UDR, Inc. engages in the multi-family real estate investment trust business. It operates through the Same-Store Communities and Non-Mature Communities/Other segments. The Same-Store Communities segment pertains to properties that are acquired, developed, and stabilized occupancy.